The city of Ancient Thira, built on mountain Mesa Vouno between Perissa and Kamari, was established in 8th century B.C. and used to be the only city of Santorini at that time. The city was initially developed around the Market, where public buildings were found, while it was later spread in a wide area including the rocks that are exposed to the strong winds. Many temples devoted to foreign gods and kings were built, while there were also public baths. The buildings and the temples were decorated with sculptures. 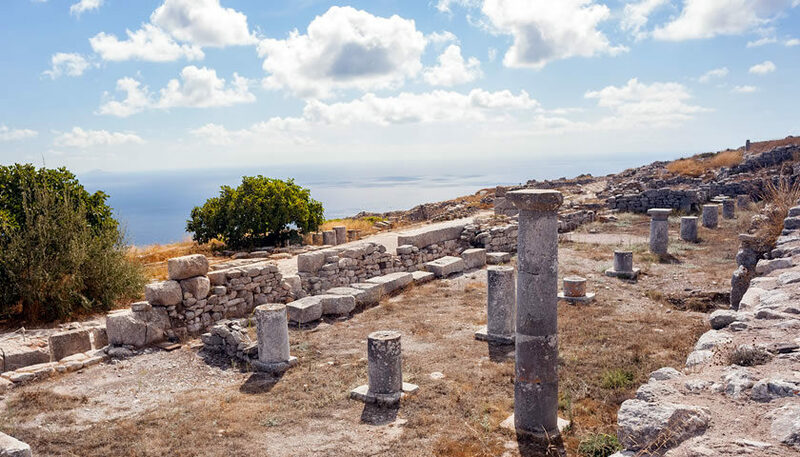 Visiting the Ancient Thira, you can see the Ancient Market, Dionysos temple, the King’s Arcade, the theatre, the sanctuary of Karneios Apollonas and the cemeteries, while you can enjoy the great view. In order to visit the site, you have to walk on a long path which starts from Kamari. The ticket price is €4 (reduced ticket €2), while there is free admission for students of EU member states and persons up to the age of 18. 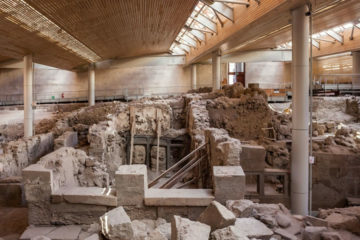 It is worth buying a 4 day ticket that costs €14 (reduced €7) and allows the entrance in Ancient Thira, Prehistoric Town of Akrotiti, Archaeological Museum, Museum of Prehistoric Thira and Pyrgos’ Icons and Relics Collection.